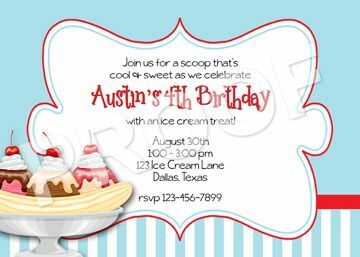 I scream, you scream, we all scream for an ice cream invitation! I made this for a company hosting a banana split event for their employees and thought it would make a cute birthday party invitation as well. If you would like this invitation, matching party printables or a custom design contact Paper Perfection at jtanddolly@yahoo.com for pricing and details.